I wanted to start this post by writing "Guess what these are??" but then I realized I already wrote the answer on the post title so that would've been stupid lol. Well, anyhow! These two neatly packed boxes were sent to me by Chloe's and I got them in the mail a bit earlier this week. Let's see what was inside! Wooow I really like the packaging! 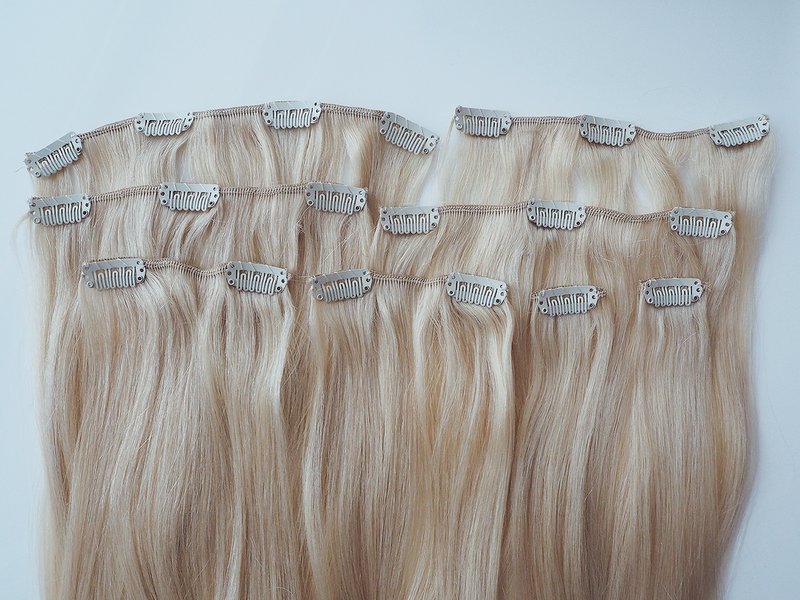 Most of the extensions I've tried (and believe me, I've tried many) have come in a long plastic package, so these feel really fancy after that. And especially after how I recieved my current extensions; packed in those plastic bags as well, but they had been squished into the smallest cardboard box you could ever fit them into, and one of the extensions sets had managed to escape it's original package, so it was all over the place and a total mess when I got them. Not to mention it took 6 weeks to recieve them lol. So yeah, these seem really good so far! Chloe's (english site here) is a fairly new hair extension company, so I was excited to try out their extensions and see what they're all about! They currently(?) 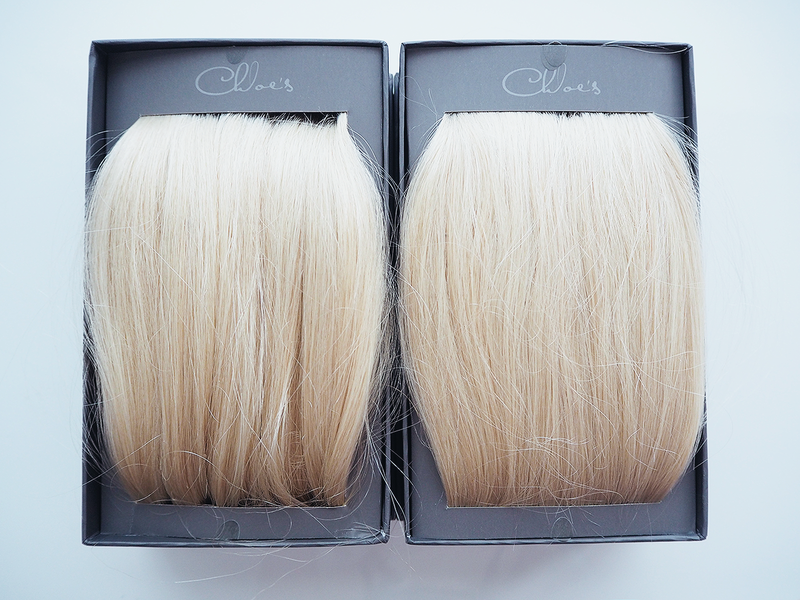 sell clip-on extensions only, one set has 140 grams of 100% human hair and is ~50cm long. I kinda wish they would have more length options to choose from, because I'd prefer 60cm... Anyway, one set costs a bit over 100€ which is not bad at all, considering 140g would totally be enough hair for someone with thin to normal hair. Most of the extensions I've had before, have had only 100g. But as a someone who loves big hair, I got two sets in #60 aka the lightest blonde shade, just in case. I love to have my extensions thick enough, so I don't have to tease them at all when I do my hair and still have them voluminous. Because if I have to tease the extensions, they'll probably get bad faster than they normally would. BUT, as there were 140g in each set and 280g in total, I think I might be able to survive with one and a half sets? We'll see! The hair feels silky smooth and looks really pretty. I mean, if you like that kind of blonde ;) I have some other plans for these which I will talk about more in the end of this post so keep reading! As I mentioned before, these are clip-ons and let me just say this: I've come across some really poor clips in the past, that you have to bend first in order to make them work, or clips that require way too much power than necessary to close the clips. These clips were really easy to clip on and I tried to wear them at home for one day and they stayed on really well. I remember when I used to wear clip-ons and had to fix them during the day because they started to get loose. These seemed to stay on pretty well. 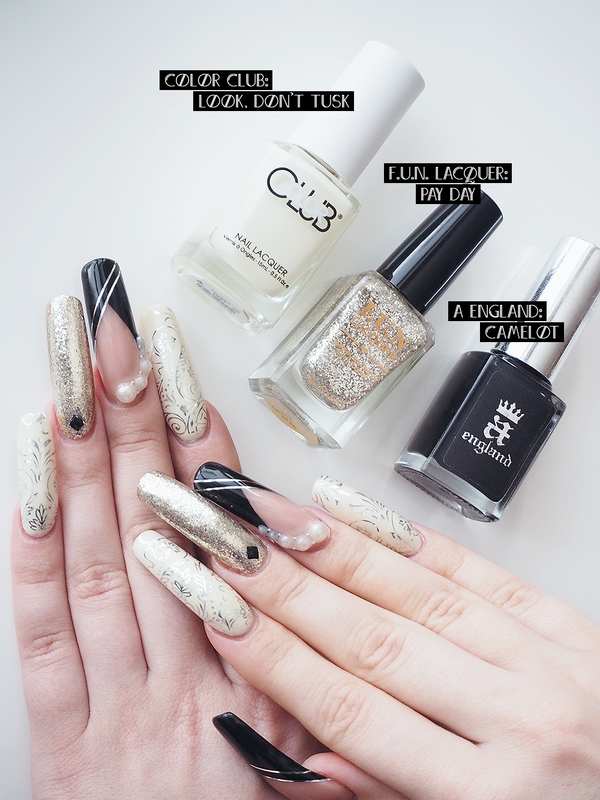 So, if you're a clip-ons kind of girl (or guy! ), go for these. They do their job well. I on the other hand don't see any reason to go back to clip-ons from my flip-ins/halo/wire extensions, so I'll be transforming these to flip-ins as well when I start using them. 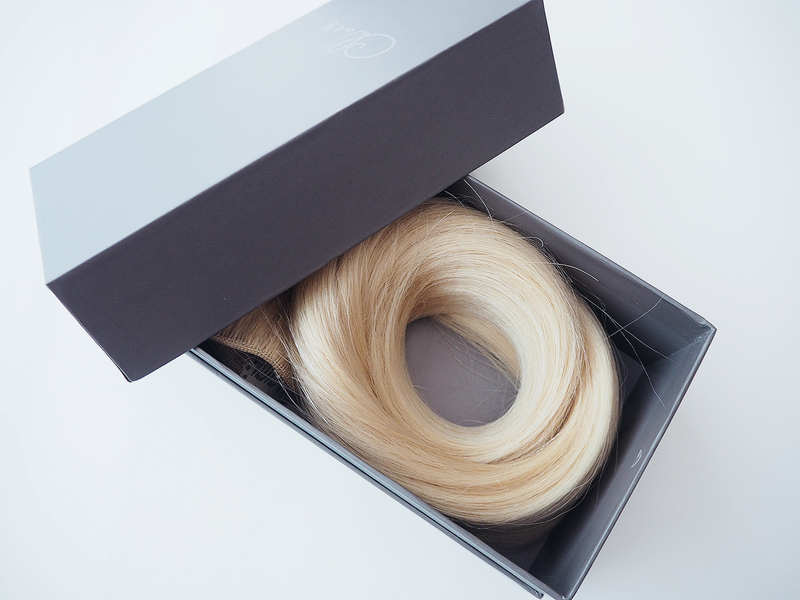 The box they come in, can also be used as storage for the extensions when you're not using them or when you're traveling and need to pack them with you. I mean, incase you're not wearing them on a daily basis. 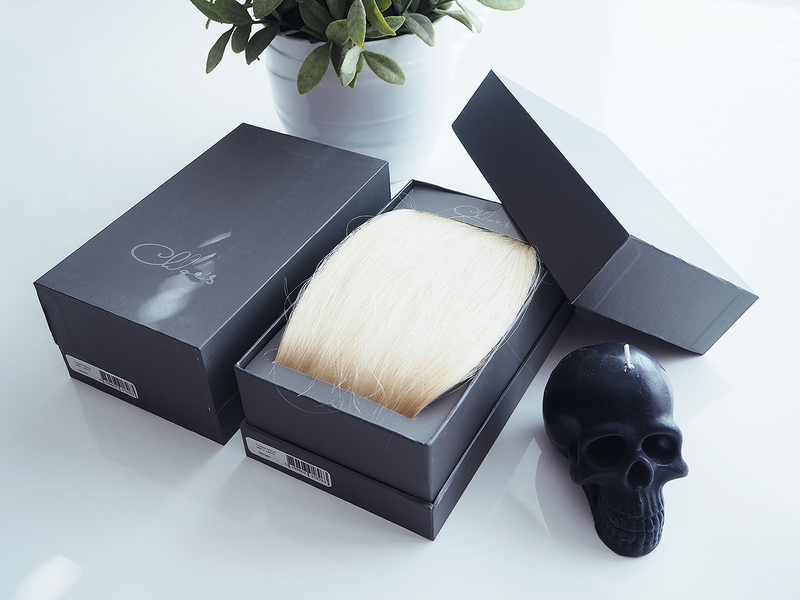 In short: the quality seems good, the amount of hair is great and so is the price AND they arrive in a fancy box. Minus points for only one option in length and attachment method. Overally a great deal, so I recommend you to check them out! I'm looking forward to see how they act when dyed etc. I miss the gray locks I had in 2012 so much!! And I think it would look even better now that I don't have bangs anymore. The change wouldn't be that big, but it would feel fresh to have some other color for change. Since the gray "granny hair" seems to be the trend and all now haha, I'm sure there must be some new gray hair products in the market because three years ago there sure wasn't that many. So, if you know some good hairdyes etc worth checking out, please let me know! I know I won't be using the Palty dye I used the last time, because it was kinda crappy after all. 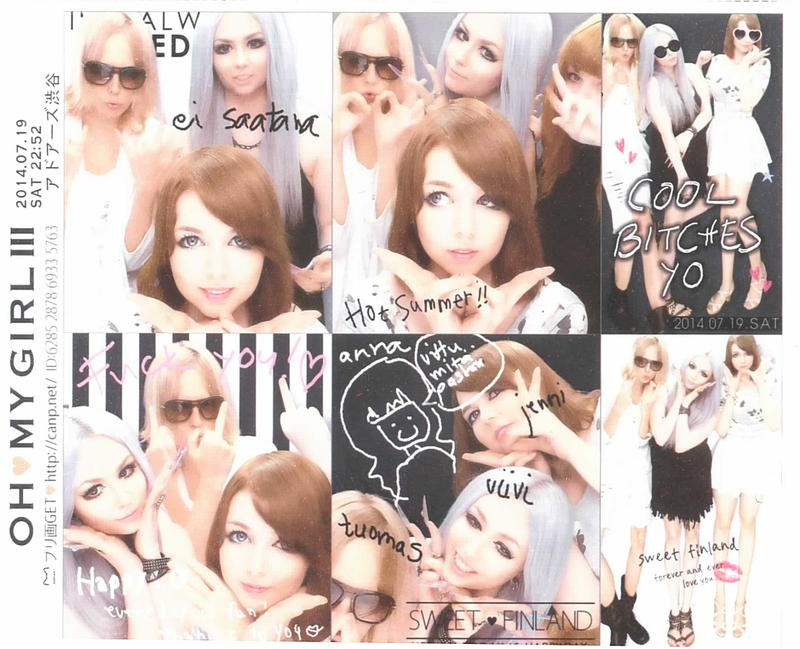 It would be great if you could recommend me products that I can find from Finland, because it would be much more convenient than ordering the dye online if I happen to need it quickly to fix the colour/roots etc. 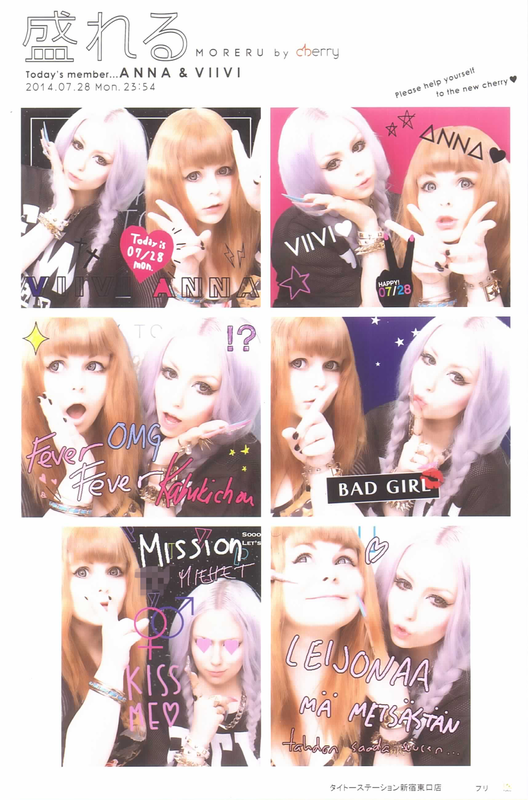 I will keep this lilac hair for a few months more, because my current extensions are still in quite good shape and I don't want to "waste" them haha. But that just means I have enough time to do some research and update my knowledge about gray hair, before I take action! A bit more casual outfit this time! This is the kind of outfit I find myself wearing pretty often. A long shirt + leggings combo might just the easiest and comfiest choice for work and hanging out with friends when you have nothing special planned. I've actually had this sweater for a couple years already, but just realized I've never showed it to you here before! I like it a lot and I have a similar one in yellow which I've worn quite a lot too. Long, baggy shirts/sweaters and tops in general are my favourites because they're so comfy and look good with pretty much any bottom you wanna wear. Talking about bottoms, I haven't really worn jeans at all for the past year. I prefer short bottoms such as shorts, skirts, rompers etc. Winters can be tricky with short bottoms and jeans often feel too stiff for my liking, so I've become a leggings-person and I'm not even ashamed about it. As long as you cover your bum, I see nothing wrong about wearing leggings as pants :D Thank god summer is coming, so I can soon ditch long bottoms completely. Btw, taking outfit pics at your studio apartment is surprisingly hard if you don't want to have the same background in every post. Just saying, haha. How many of you have heard of a book called "Blog by the book - blogiopas" (blogiopas = blog guide)? How many of you actually own it? Great. If you do, you've probably found a familiar face on it's pages! If you still have no idea what the hell I'm talking about, let me tell you: couple years back, I was asked by Miki if I was interested in being included in a book she was currently planning back then. You bet I was! I was excited to get to a part of this project and started waiting for more details. In summer of 2013 we had two photoshoots together for the book. One outdoors and one in the studio. We weren't allowed to mention anything about the book at this point, so the only thing I posted were these 2 pics on Instagram (one, two). Later came the interviews, handled via email by Noora, who's the other pair of the fabulous couple. After that began the waiting for the finished book. I can only imagine how much work it is to put together an actual book! In September of 2014 the long wait was finally over and the book was published! A publishing party was held and each of us bloggers got two copies of the book for ourselves. I gave the other one to my parents and kept one for myself. The finished book looks amazing! The layout of the book is cute, but still looks professional and definitely is loyal to the style of it's authors. 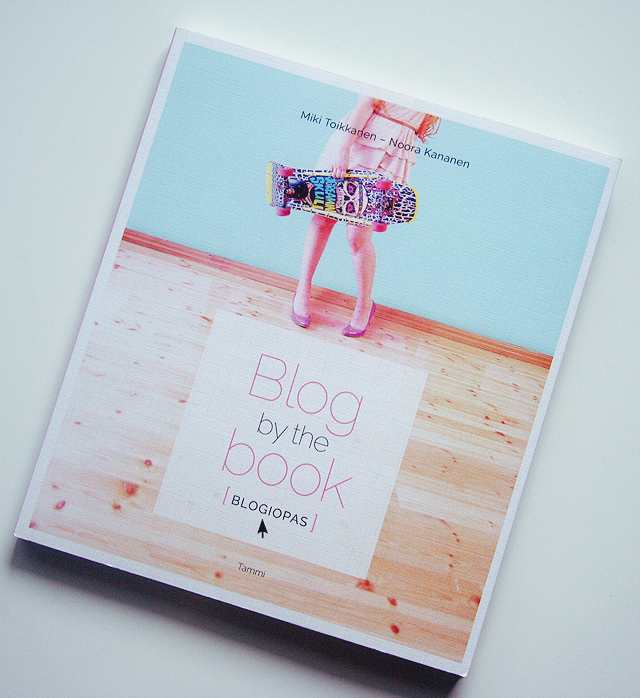 The book contains tips for blogging, such as how to start a blog, what you should know when designing a layout for the blog and when writing the posts, how to come up with a blog name, how to deal with comments and interract with your readers. Also some good-to-know stuff about blogging and the law is included. After all the blog basics, it also has interviews and tips from 17 different finnish bloggers, me being one of them! Each blogger has four personal pages in the book which tell a little story of the history of the blog, what are their strong points and what kind of blog they are running. 1. You can find your personal style with the help of blogging. 2. In order to stand out from the sea of blogs, basic coding skills are good to learn. 3. To study the code, try solving smaller problems first. 4. If you're running a quality blog, you can use it as a business card when applying for jobs. 5. Your blog's name might need an update, if it starts feeling foreign to you. 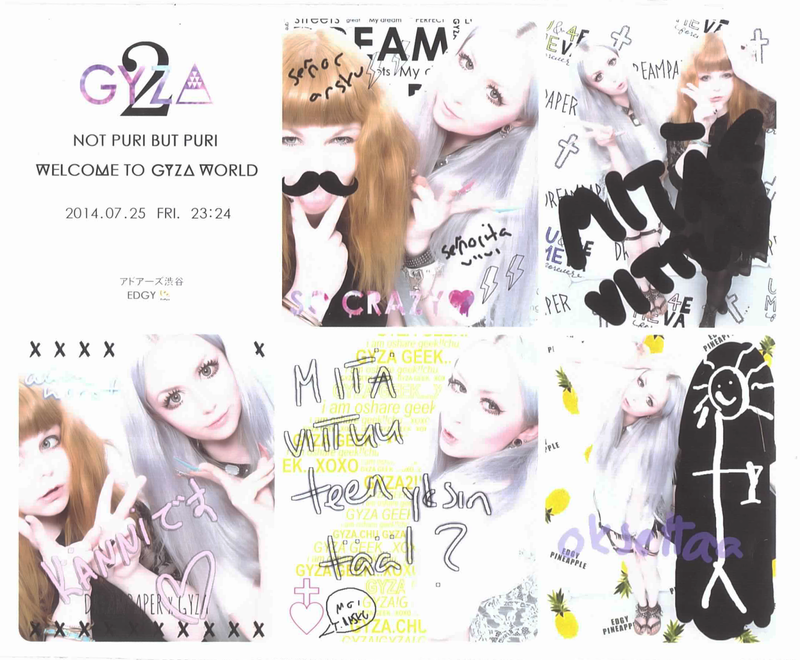 Also huge thanks to Miki and Noora for asking me to be a part of this project! The journey was a lot of fun.